Bucharest WordCamp was a pleasant surprise for us, from how everything was organized to the quality of the attendees and speakers. We were mostly expecting a local audience but ended up meeting many interesting people from all over the world. Bucharest WordCamp started early in the morning. Me, Nejc, Saba, and Amon had to take turns for who’s staying at the stand and who’s going inside to hear the talks. Things arranged easily based on our professional expertise, development or marketing, so no one felt like missing out on. The stage talks were short, to the point, but overall very good and Nejc was proactive with intriguing questions for the speakers. “Is GDPR such a boo-hoo for online businesses?” was presented by Ana-Maria Udriste who previously helped us do the legal pages and GDPR compliance for the WooCart stores that will be localized in Romania. It was very nice to see her again and introduced her to my colleagues. The same with the guys that I already know from the WordPress Meetup and the WooCommerce Group, and I was happy to catch up on things and show our progress. As previously said, this event was a surprise for us, and that is also due to the high interest showed for WooCart. A couple of times we had too many people at the stand, making it difficult to talk with everyone. Those who wanted could check our wizard and create their own store on the spot. From some of them, we even got a “wow” reaction! We were really excited to get feedback in person from interested people. 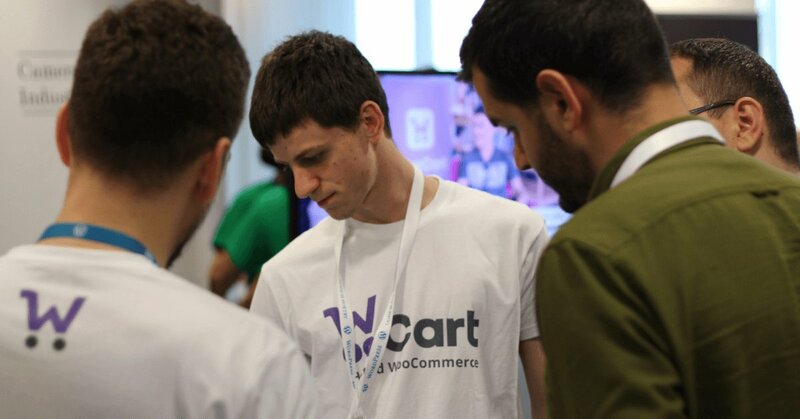 We talked with agency owners, developers, freelancers, people who are already doing WooCommerce, people who want to start on it for their clients through WooCart, even with someone who wants to build his own store because his previous online business went down. 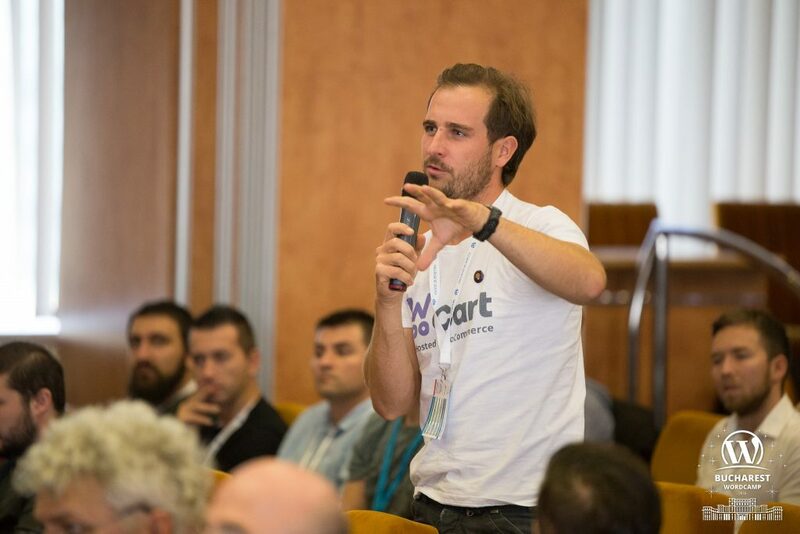 Bucharest WordCamp was definitely a fun place to be and a great opportunity to get in touch with the WooCommerce community, making new friends along the way and getting pumped with the great response on WooCart. The Manchester WordCamp was visited by Janez and Dejan. It was a very small conference with around 100 attendees. While the only other sponsors were WP hosts, everyone was really friendly which was a very pleasant surprise. We talked to a few people, shown the Wizard a few times, and got a few people very excited for WooCart! While we enjoyed the conference, the travel to Manchester from Slovenia was exhausting so when we return to the UK, it’ll be to the London WordCamp sometime next year. Now, we’re back to work, and the feedback motivated us to push forward and create a great product!